In recent years, countries in the growing electricity market , the next innovation in the digital economy , and continuously improve the power quality and increasing the level of renewable energy resources, the number of distributed generation , driven to efficiently use energy smart grid is gradually replacing the traditional grid to focus on an emerging global power technologies , competitive low carbon economy to become one of the commanding heights of important strategic initiatives countries, and its powerful healing , environmental protection , energy saving, safe , attractive and controllable characteristics lead the development of a new world power trend , new heights. Four-Faith Bosnian largest customers are smart grid system integrators to energy saving for the purpose , in order to create and deliver differentiated customer service , security system with smart meter Cc data retrieval and analysis , recently, customers have ordered 300 again Four- Faith wireless IP MODEM F2103 device for the system to build and develop communication with the Four-Faith remote smart meter reading system , help the local power sector more efficient power systems for remote monitoring . 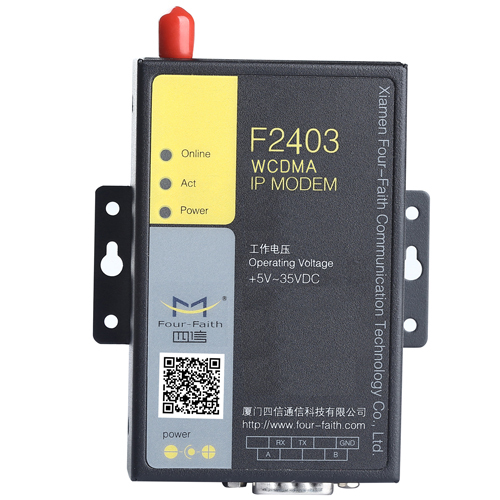 System consist of the meter、F2103 GPRS IP MODEM ( GPRS DTU )、acquisition and the central server. 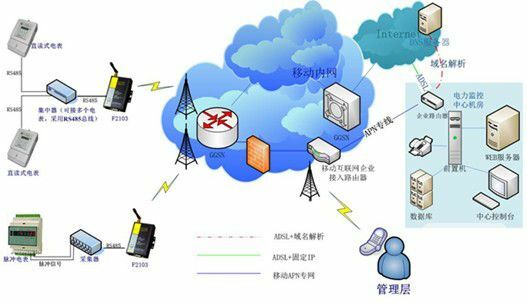 Collector electricity users real-time collection of data，F2103 GPRS IP MODEM collect the data through the GPRS network to the server. With fast and accurate data collection , statistical analysis can quickly generate electricity , payment receipts , etc. , compared with the traditional manual meter reading, meter telephone line , greatly improving efficiency. For the System in addition to accurate , real-time meter reading , but also provides device management functions, such as alarm : Unpacking alarm , power failure alarm , reverse alarm , over-temperature alarm , overload alarm , etc. ; control : users wind up on arrears and so on. 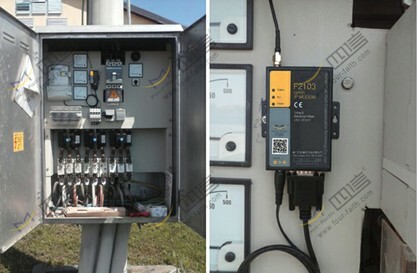 And provides power data protection in power 48 - 72 hours still reading and monitoring , combined with the operator's SMS platform , when the alarm can send text messages to the relevant management personnel depending on the content.